Amazing stories about success! I was on the edge of my seat the whole time. This book will be my once a quarter pep talk! 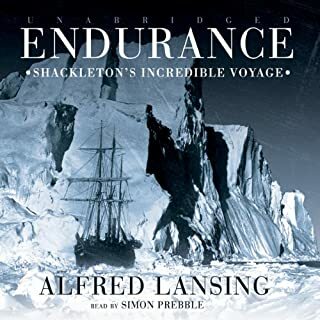 this was a great read, I am thankful for the audible app, this allowed me to listen at double speed and still enjoy this book. 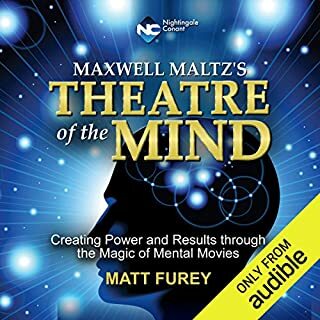 Would you consider the audio edition of Theatre of the Mind to be better than the print version? I Really enjoyed hearing Matt tell the stories of his life. What other book might you compare Theatre of the Mind to and why? The other book I would compare this with would be psycho-cybernetics. What does Matt Furey bring to the story that you wouldn’t experience if you just read the book? You get to" hear" how Matt applied the principles he teaches in his own life. The Moment that really moved me was hearing how Matt was able to break the barriers in his own mind and earn over 120 thousand dollars in one month. This this book is worth way more than one credit! 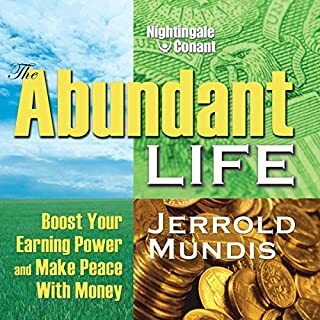 The Abundant Life offers a clear, simple, step-by-step system that will help you permanently free yourself from what author Jerrold Mundis calls "underearning." This highly effective program is not a get-rich-quick scheme. Nor does it advocate pinching pennies, working overtime, or taking a job you hate.Instead, The Abundant Life will show you how to change your relationship with money at the deepest levels. I am glad this was not my first book in the series. If it were I may not have used my. credit on any of the other titles. This is not a bad book, there were no huge revelations about money or living abundantly. I did pick up a few nuggets of worth. I would put this in the category of Dave Ramsey and John Communda. This book is practical information about getting out of dept and staying there, if that is what you are looking for this would be a good book for you. 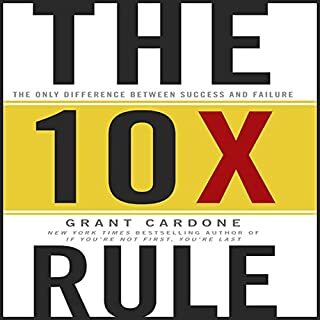 the 10x rule is a powerful book, Grant reads his own book withba fire in his belly. I will return to this book a few times a year and recommend this book for others. 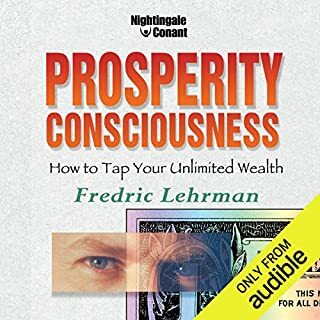 Would you consider the audio edition of Prosperity Consciousness to be better than the print version? I loved listening to this program, well spoken and the stories stick with you. I have not read the print version, stupid question to ask on the audible website. My favorite character? Who put these questions on this book....your fired! 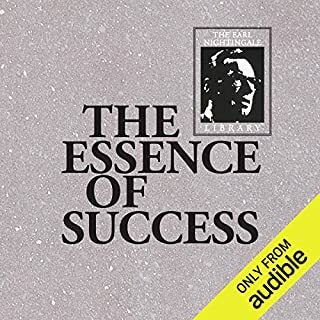 Don't worry though if you listen to this book your income will double anyway. What does Fredric Lehrman bring to the story that you wouldn’t experience if you just read the book? His voice and the entertainment value. What did you learn from Prosperity Consciousness that you would use in your daily life? I love the ideas of the 5 savings accounts. I will start this immediately. If this topic has attracted you, get this book. Trust me listen close take notes and become transformed. If you have young children you could change their lives by applying these principals. I Love it a must read! 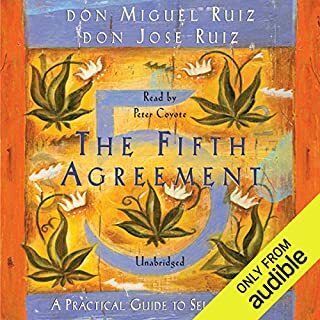 What made the experience of listening to The Fifth Agreement the most enjoyable? The human mind because its so tricky. The story of the movie theaters was powerful! I was moved by the whole book. 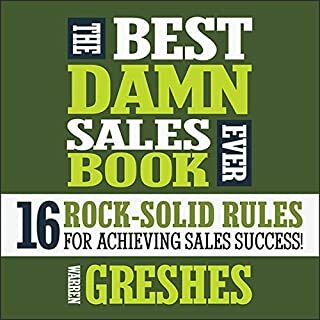 If you could sum up The Best Damn Sales Book Ever in three words, what would they be? this is an exciting and glue you to your seat book! What was one of the most memorable moments of The Best Damn Sales Book Ever? The world record sale of the biggest life insurance policy! Stupid question. I love the whole book. it made me pee my pants with joy! Get it you will be changed!